Location : 135 Rickerts Rd, Doylestown Twp. 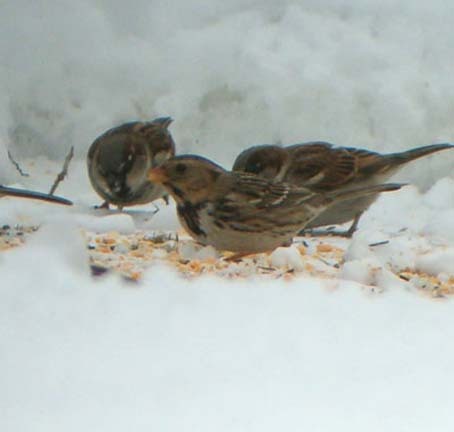 Additional photo and video links submitted by Rich Rehrig 2-10-2013. 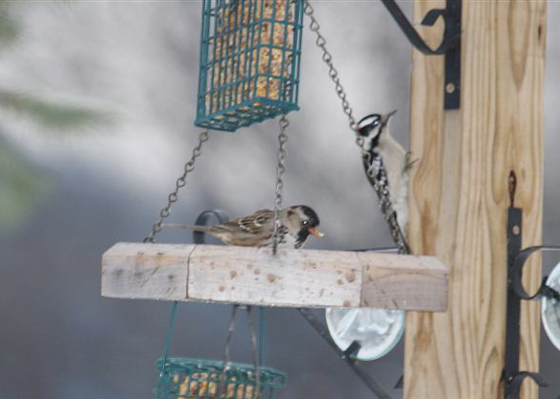 Bird continues to be seen at same location. See Photo links below. 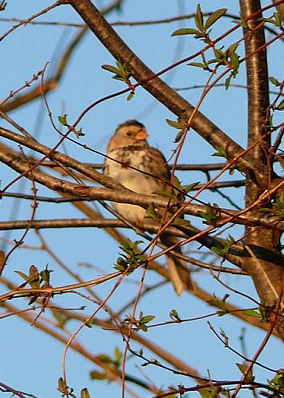 Harris’s Sparrow — near Steelville, Lancaster County; April 12-27, 2009. Photo by Tom Raub. This photo was taken on April 12, 2009. 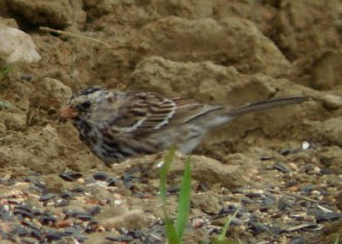 Harris’s Sparrow — near Steelville, Lancaster County; April 12-27, 2009. Photos by Drew Weber. These two photos were taken on April 20, 2009. Note the difference in the amount of black between the April 12th photo and these two. 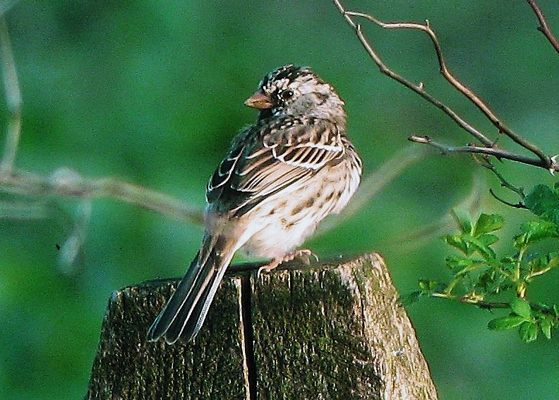 Harris’s Sparrow — near Steelville, Lancaster County; April 12-27, 2009. Photos by Jeffery Davis. These two photos were taken on April 25, 2009. Again, note the increasing density of black, especially in the bib. 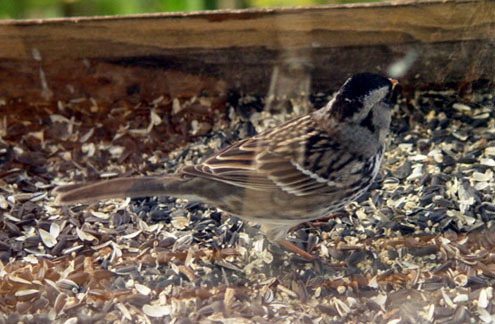 Harris’s Sparrow — near Beech Creek, Clinton County; January 20, 2009. Photos by Wayne Laubscher. 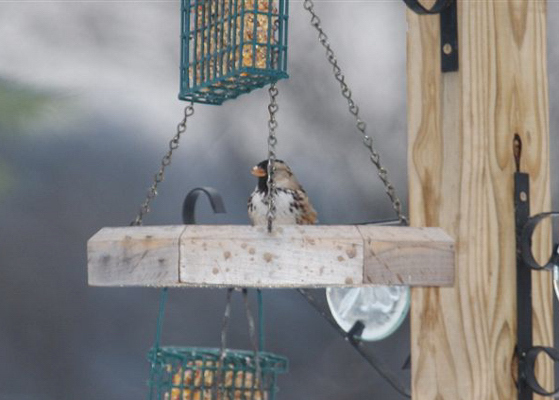 This bird represents the 1st record for Clinton County. 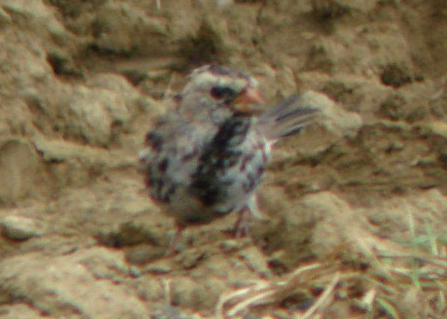 Harris’s Sparrow — near Oakland Mills, Juniata County; May 6, 2006. Photos by Chad Kauffman. This adult was originally found back on November 28, 2005 and was still present when these first two photos were taken on May 6th. 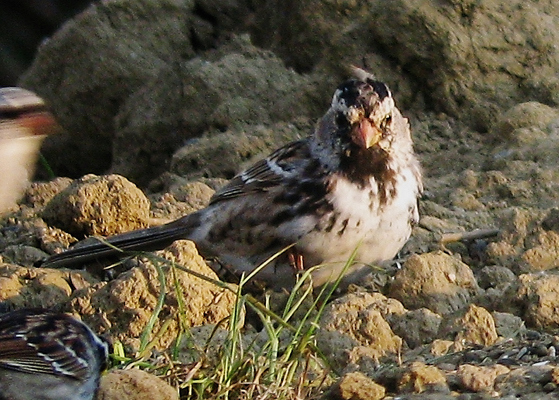 Harris’s Sparrow — near Oakland Mills, Juniata County; December 10, 2005. Photo by Chad Kauffman. 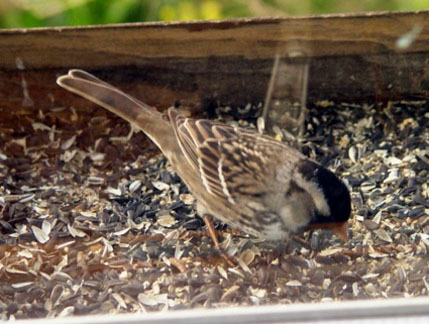 This additional photo of the same bird was taken back on December 10, 2005. 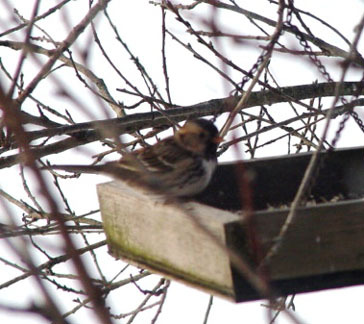 Harris’s Sparrow — near Stone Church, Northampton County; January through March 2005. Photo by Mike Schall. 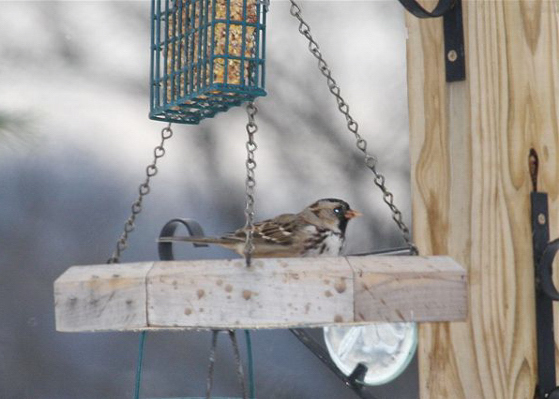 Rick Wiltraut found this first-year bird on January 15th at the same spot that he found an adult the year before. Note the tan face and the black throat.